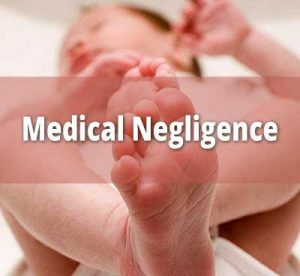 Kolkata: The West Bengal Clinical Establishment Regulatory Commission sought a report from Apollo Gleneagles Hospitals after parents of a baby who died there submitted a complaint alleging medical negligence against the medical establishment. “We have asked Apollo Gleneagles Hospitals authority to submit reports in connection with the treatment of the baby. They have been asked to submit the report within 72 hours or as early as possible,” Commission secretary Arshad Hassan Warsi said. Parents of four-month-old Baby Kuheli Chakraborty lodged a complaint with the Commission today alleging medical negligence of part of the hospital as well as uts three doctors. “The Commission will look into the report from the Apollo Gleneagles and depending on it we will take follow-up action,” another senior officer of the Commission said. The baby was transferred to Apollo Gleneagles Hospitals on Saturday last and died there yesterday morning. Her family members have alleged that medical negligence by the hospital was responsible for it. The babys parents also submitted a copy of their complaint to the state department of health and family welfare and met the director of health services Biswaranjan Satpathy. “Our baby was not sick. We had taken her to Apollo Gleneagles for colonoscopy … She was absolutely fine. Apollo Gleneagles and its doctors killed my baby. We want justice… We appeal to the chief minister to look into the matter,” Shalu Chakraborty, mother of the dead baby told reporters. They had lodged a complaint at Phoolbagan Police Station yesterday against the hospital and the three doctors alleging medical negligence in treating their baby.